Perfect leather boots with a flat notched sole and a round casual shape. Very comfortable boots that can be worn with skirts and pants all winter long. 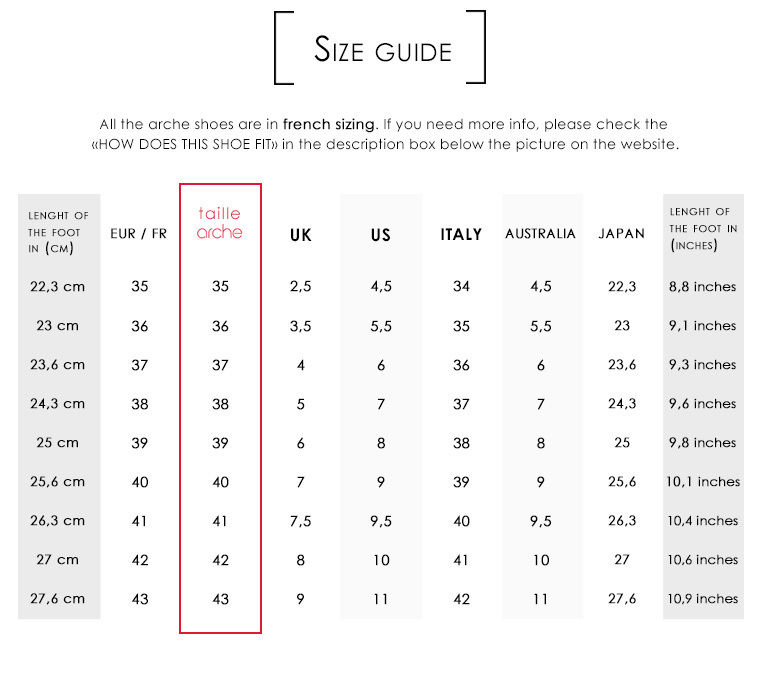 HOW DO THESE ARCHE HIGH BOOTS FIT ? These BAOWEM arche flat boots fits true to size, can tend to be a bit wide. They won"t fit for very thin ankles & foot. You can take your usual size. SIDE NOTE: The CAMEL leather color has a natural random textured effect, each pair is unique and the leather effects are too for each shoes. ARCHE COMFORT : A padded insole for maximum comfort on support points of the foot and a natural rubber sole. Very comfortable shoe. MATERIALS :Nubuck leather or smooth leather boots. Rubber Sole. Side zipper.